PSD files (a format exportable exclusively from Adobe Photoshop) are unique in that they are able to retain multiple layers. This is advantageous as the image remains fully editable in terms of any colour correction, effects, masking, transparency, or compositing that were made to the .psd file in Adobe Photoshop. Harmony supports 8 and 16 bit files. NOTENote that your .psd image file must be set to RGB mode within Adobe Photoshop prior to being imported into Harmony. In Harmony, go to the top menu and select File > Import > Images or click the Import Images button. In the Files section, click Browse to find and select the .psd image on your computer. Select the Create Symbol for Imported Items option if you want the layers to be contained in symbols. In the Import Options section, select the following option to import your image as its original format. 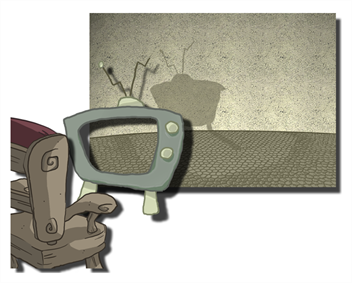 Keep As Original Bitmap: Retains an imported image as a bitmap. In the Alignment section, decide on the size and placement of your image within the camera frame. Depending on the Scene Settings (the height and width in pixels that you chose for your project), an image that you import may get scaled to the point where all its individual pixels become visible. Decide whether to select Vectorize Imported Items option—see Import Images Dialog Box. Single Layer: To import the Camera and Layout layers merged together. 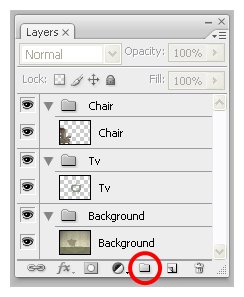 Separated Layers: To keep your Camera and Layout layers separated. 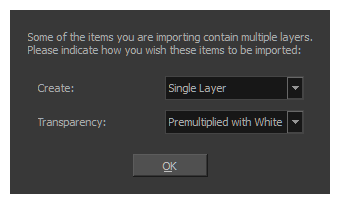 From the Transparency menu, select one of Alpha option—see Import Images Dialog Box. 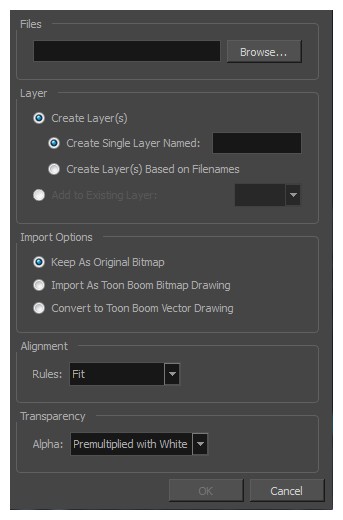 Your image appears as separate layers in the Timeline view, corresponding to the PSD layer group folders. NOTEThe artwork displayed in every one of your layers as a result of a multilayer PSD file import is linked to the same source image. This means that if you use the Drawing > Delete Selected Drawings command to physically delete the drawing from the project folder, the exposed drawing will be deleted in all layers at once. Once deleted from the project folder, the image cannot be retrieved unless you reimport your psd file.